[Webinar] Prospecting, what is that all about? Platformax Webinar Masters strike again. After the great success (and even greater interest shown by the crowd of attendees) of our previous webinar “How to structure your sales process”, our sales jedi Dejan Davidovic and Platformax CEO Srdjan Mahmutovic will be hosting a new free webinar for the international audience – for YOU. And why should you care? Well, with a combined experience of over 30 years in sales and marketing, the knowledge they’ll share can only help you get better at what you do. Marketing & sales people from different companies use very different strategies, tools and approaches, to get new prospects and turn them into customers. That’s not an easy job, and there always has to be a fresh supply of new prospects that can be “processed” in the shortest time possible. To achieve this and feed their sales pipelines, some prefer calling, others like to email, and some do a combination of both (you can later read more about that here). This specific webinar will give you the fundamentals of outbound prospecting and show you how your company can use it to grow your sales. 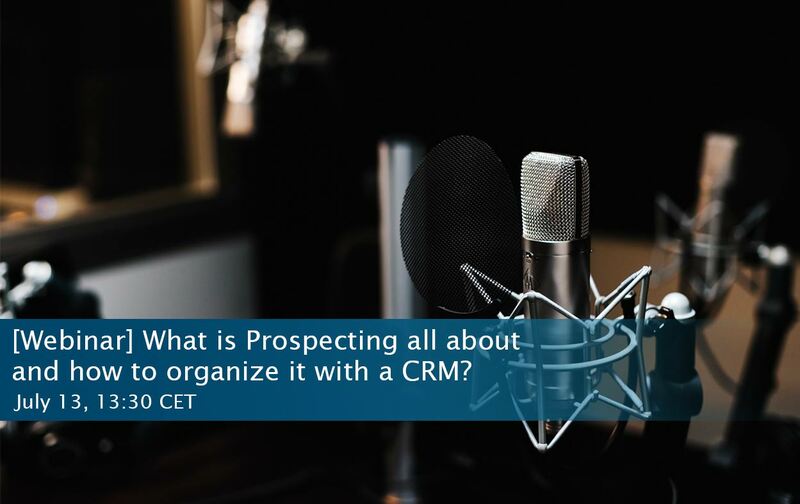 After going through what prospecting is all about, we’ll show you how to prepare, implement and automate a prospecting process with a CRM. You can click the button below to reserve your seat. See you July 13 at 13:30 CET. See how you, too, can organise a calling campaign to prospects with a CRM. But… I have so many questions! No problem. The experts with the answers will stick around for a 30 minutes live Q&A session after the webinar. So, what do I need to join the webinar? Is this webinar really for me? If you are a business owner, sales manager, sales representative or a business developer, you can definitely benefit from this webinar. Okay, when can I attend the webinar? Thursday, July 13th 2017 from 13:30 to 14:30 CET.